ONE Championship titleholders Martin Nguyen and Joshua Pacio left no doubt that they deserve to have gold around their waist. 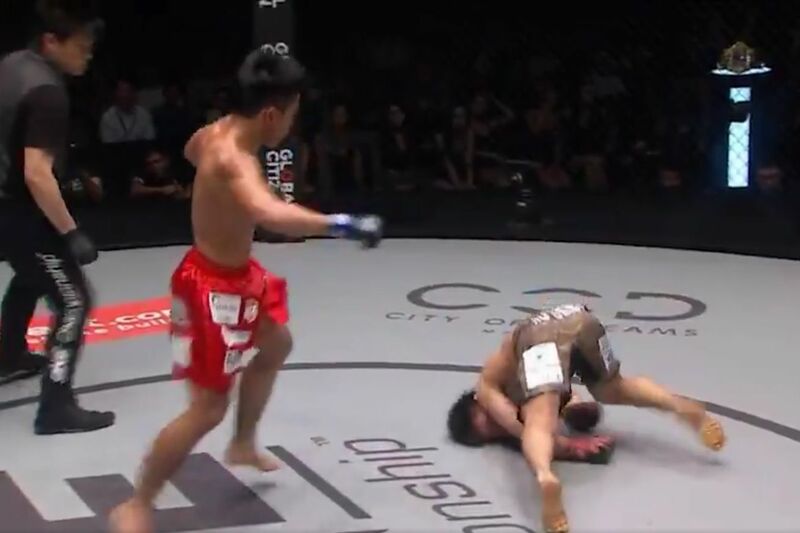 At Friday’s Roots of Honor show in Manila, Philippines, Nguyen and Pacio closed out their respective title bouts with two of the year’s most vicious knockouts. It was Pacio (17-3) who looked to have the highlight of the night locked up when he reclaimed the 125-pound title from Yosuke Saruta (19-9-3) in a rematch from January. Saruta won the first outing by a narrow split decision and Pacio guaranteed that the scorecards wouldn’t be necessary this time around, catching Saruta with a head kick in round four that caused the Japanese fighter to awkwardly fall face down on the canvas. Pacio’s effort was arguably topped one fight later in the evening’s main event, when Nguyen (12-3) clobbered Narantungalag Jadambaa (14-6) with a game-over flying knee in the second round. This marked Nguyen’s second consecutive defense of his 155-pound title. In other notable action, Tatsumita Wada (21-10-2, 1 NC) edged out a unanimous decision win over Gustavo Balart (8-2) to move into the semifinals of the ONE Championship Flyweight World Grand Prix where he will next face former UFC champion Demetrious Johnson, and former Legacy Fighting Alliance welterweight champion James Nakashima improved to 11-0 with a TKO-win (via injury) over veteran Luis Santos (65-12-1, 1 NC).